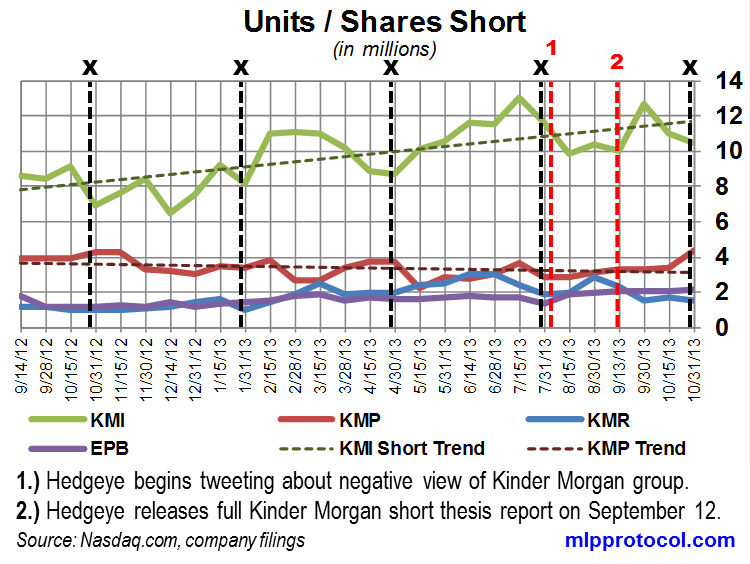 Below please find an update on the total number of shares and units sold short across the four Kinder Morgan entities (as an indicator of how much traction Hedgeye’s short thesis is achieving in the market place). 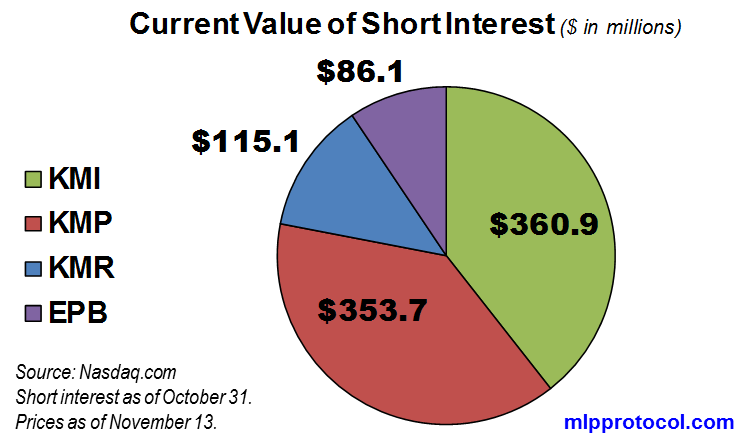 The following chart shows the total number of units or shares sold short for each name since September of 2012. The data is somewhat delayed and the data for October 31 was released two days ago. The short positions remain relatively small across the names and only KMI seems to be showing a clear increasing trend. KMI’s current short position in number of shares remains below the peak reached on July 15, 2013. The September 30 relative high was lower than the July 15 high so possibly a “lower high.” I will be watching for a “lower low” below the recent August 15 relative low as a possible indicator of a change in the trend. There was a large jump in the number of KMP unit sold short over the latest period and the KMP short position has reached a new high over the period shown. The EPB short position increased slightly and is also at a new high over the period shown.